Credit Card Rewards – Are They Really Worth It? By Peter Anderson 16 Comments - The content of this website often contains affiliate links and I may be compensated if you buy through those links (at no cost to you!). Learn more about how we make money. Last edited February 15, 2013 . These last few weeks I've been thinking a lot about our credit cards, and whether or not we should just close the rest of our credit accounts. My philosophy is becoming more and more anti-debt, and the idea of going credit card free is appealing, albeit a bit scary. It's becoming less scary as we get closer to having a fully funded emergency fund. Currently we have two open credit accounts, a cash rewards Mastercard and an American Express. One reason I've kept the accounts open is because they have a cash rewards program. Every time I spend a certain amount of money, I get cash back on my purchases. Sounds like a pretty good deal right? This past week Consumer Reports released a study where they found that about 85 percent of U.S. households participate in at least one rewards program. 85%! Sounds like a lot of people in America must agree that rewards programs are a good deal. While on the surface rewards cards may seem like a great thing to take advantage of, when you scratch below the surface you may find that they aren't quite as good a deal as you thought. Consumer reports found that people who have rewards cards often end up spending more money than those with a regular card, and on top of that, they don't always reap the benefits of having the card. 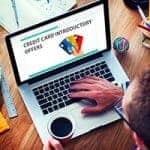 Rewards program terms are often confusing and restrictive, and the rewards credit cards often have higher interest rates than some others that are available. If you're not paying your balance off every month, you're already erasing any savings you've made by having the rewards card in the first place. Other rewards cards may have good terms, but charge an annual fee. This makes it unlikely that the consumer will come out ahead if they don't spend a large amount of money on their card. Still other rewards cards may be generous with their rewards, but they have an annual cap or limit which means you can't fully realize the benefit of having the card. That seems like an awfully large number of people who sign up to get rewards, but then never even bother to use them. What a waste! Could it be just another indicator that our culture just doesn't value saving as much as it does spending? Consider where you shop. Get rewards cards that fit your lifestyle and shopping patterns. In other words, if you don't travel very often, don't sign up for a travel rewards card. You might be better off using one that gives you cash back for gas, groceries and home purchases. Project your spending. Figure out how much you think you'll spend in a given year, and then find out how much you'll gain for every dollar you spend. Subtract any annual fees or penalties and find out if the card is worth your time. If not, move on and find another one. Favor cash back. Points vs. Cash back. Consumer reports found that cash back cards tend to offer better rewards. On top of that the cards that give points, often the points end up going un-used. Get a cash-back card to optimize your returns. Skip credit if you carry a balance. If you don't pay your bills of in full, you may want to pass on the rewards cards altogether. Because rewards cards often have higher interest rates, you may end up paying much more in interest than you reap in rewards. I know my wife and I only use the credit card when we know we can pay it off within a week or two. Do the math on do-good programs. Some people are tempted to get a rewards card so that they can have the rewards sent directly to a charity of their choice. When doing this make sure you look into how much is being given because you'll often find you can give more to the charity if you just get a cash back card and send the money to the charity yourself. Use airline miles fast. If you use an airline miles card, make sure to use your points as soon as you can. Airlines will often change redemption rules, and sometimes you'll even lose your points if you haven't used them in time. Avoid temptation. Don't justify spending on your credit card just because you want to get that “reward” of a new Ipod or digital camera. You'll usually find that you end up spending more than you would have in the first place – enough that you could have just gone out and bought your own reward. When it comes down to it I think it is clear – if you already have credit card debt and you're trying to find your way out, DON'T use your credit card. Period. Lock it up and throw away the key. But if you are debt free and are able to pay off your card every month without any problem, go ahead and take advantage of the rewards programs. But be careful which one you choose. Find one that fits your needs and spending patterns. Also, be careful that you're not getting caught in the “spend to earn” trap. Studies have shown that people will often spend more just because they're getting rewards. Don't be a sucker, buy only what you need and what you would have bought anyway. Do you have a rewards card? Do YOU think it's worth it? Let us know in the comments. Last Edited: 15th February 2013 The content of biblemoneymatters.com is for general information purposes only and does not constitute professional advice. Visitors to biblemoneymatters.com should not act upon the content or information without first seeking appropriate professional advice. In accordance with the latest FTC guidelines, we declare that we have a financial relationship with every company mentioned on this site. We have a chase rewards card, we get 3% back on groceries, gas, and fast food (which we never eat), and 1% back on all other purchases. You can opt for getting cash or using points to buy (most likely over priced) junk. We always get the cash. We pay the card off every month and never carry a balance. We also definitely do not spend more than we would normally because we’re getting a crappy 1% off of our purchases! We actually work quite hard to keep our balance as low as we can, which is kind of a side effect of paying the whole balance off each month. It’s nice to get an extra $200 every so often, but I agree, if you don’t have your credit card spending under control, stay away. I personally don’t think reward cards are worth the risk or effort. I prefer to pay cash and avoid the hassle. I like the look of the new site! We’ve used cash back cards for the last several years (always paying off our balances). I’ve probably taken $1,000 from credit card companies over the last 8 years in the form of cash back without ever paying a dime in interest. But this year I closed my Discover and Chase Rewards cards. Something about Dave Ramsey screaming in my ears “if you play with snakes, you ARE going to get bit” just keeps resonating with me. Next time I’m at the grocery store with $100 of groceries, I think I’ll just put back one of those $3 bag of chips, and call that my 3% cash back!! I definitely don’t “need” the chips. I like that idea – put the chips down – and voila! you have $3 cash back! haha..
@Matt – I also take advantage of the Chase Awards. Did you know that if you wait until your rewards equal $200, they are supposed to add an additional $50 to your account? they no longer offer that…. We use a rewards card for gas, groceries, and occasional dining out. Our paydays are bi-weekly. On each payday, projected amounts for these expenses are moved to a “payment reserve” savings account. Two days before each payday, the balance on the credit card is paid using funds transferred from the payment reserve account. We record all the expenses in a spreadsheet, so we can easily track the spending vs. the planned budgeted amounts. I’ve found this method to be helpful for staying on budget. 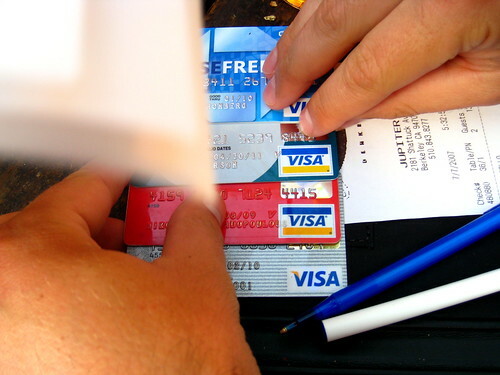 The credit expenses are always paid with money reserved previously on purpose. Card card rewards are great tool for people to make a little extra money or extra perks they would not otherwise be able to afford. The trick is getting people to pay their credit card in full each month. I know this was posted several years ago, but I just came across this site. Personally, I feel if you need to spend the money and you can pay for it, then use a credit card for several reasons. 1. You can track your purchases if you use your credit card. 2. The purchase can be disputed later if necessary. 3. You get a little back when you pay with a rewards card. My advice is to only charge what you can pay. I don’t carry a balance on my card, so I don’t pay any finance charges. This way the bank does not make any money off of you and it does allow you to pay later too. If you have the discipline to control your spending, I definitely recommend using a credit card over anything else.